Time to have a go at the sketch challenge for this month too. Sketch challenges are probably my favourite type of challenge as I still get to use my favourite colours. 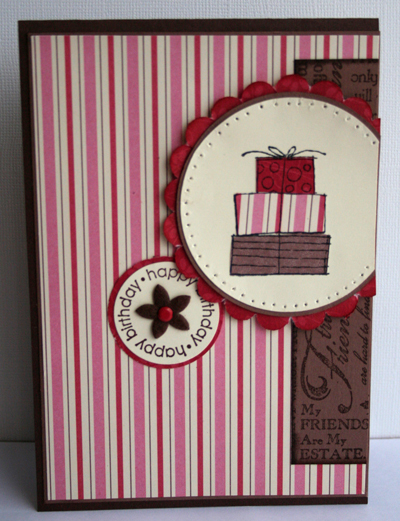 For this sketch challenge I based my colours around the colours in the Candy Lane Designer Series Paper, and used the paper piecing technique on the presents image. 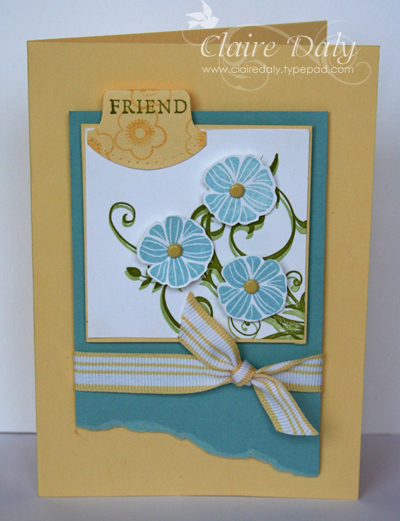 I have used the stamp set to create a subtle patterned background paper, by stamping in Versamark onto cardstock.